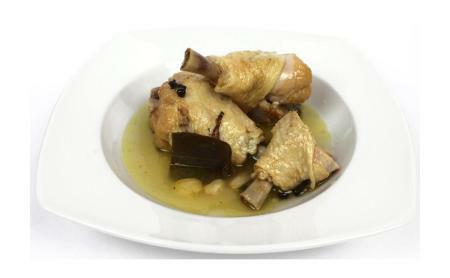 Cooking chicken with escabeche is ideal for the summer, when you want to prepare a dish ahead of time. It is a simplified version of the traditional escabeche, and the process couldn't be easier. You can keep this dish refrigerated for a few days and then serve it cold or at room temperature. A green salad is a good accompaniment. Season the chicken pieces with salt and place them in a bowl. Add the onion, garlic, bay leaves, and peppercorns and mix well. Add the vinegar and olive oil, stir until all the ingredients are evenly distributed, cover, and refrigerate for at least 2 hours or up to 24 hours. Transfer the contents of the bowl to a deep skillet or a wide saucepan and bring to a boil over high heat. Decrease the heat to medium and simmer for 10 minutes, or until the chicken is tender. 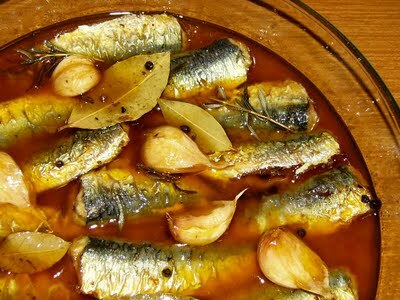 Escabeche, or escabechados, are foods that are fried or steamed and then cooked or sometimes just stored in a mild brine. 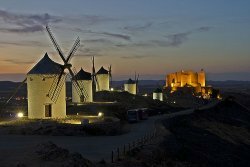 They can turn up as tapas or main courses and served cold or at room temperature.